In fall 1620, John Howland set sail on the Mayflower, voyaging from Plymouth, England to America. Not accustomed to ships, he went on deck in a storm, was hit by a wave, and fell overboard. Lucky for him, the crew saw him go over, and dragged waterlogged John Howland back onto the ship. Lucky for us, he’s our children’s ancestor, along with millions of Howland’s descendants. The Mayflower landed on Cape Cod, and the colonists set up in the area around Plymouth, Massachusetts. John Howland was an indentured servant to John Carver, who became the new governor. The first hard winter, half the colonists perished. In the spring, local Indians helped the settlers to plant crops, and survive. John Howland married Elizabeth Howland, they celebrated fifty years together, both living to an old age (80) and (79). The Howlands had ten children, who had eighty-eight grandchildren, and many generations later, here we are. 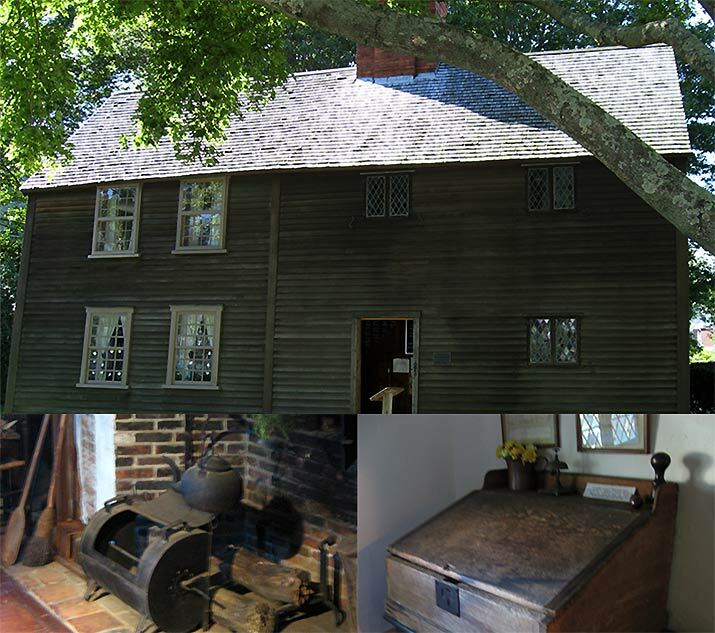 Exploring Plimoth Plantation and Plymouth town, visit two Howland houses. 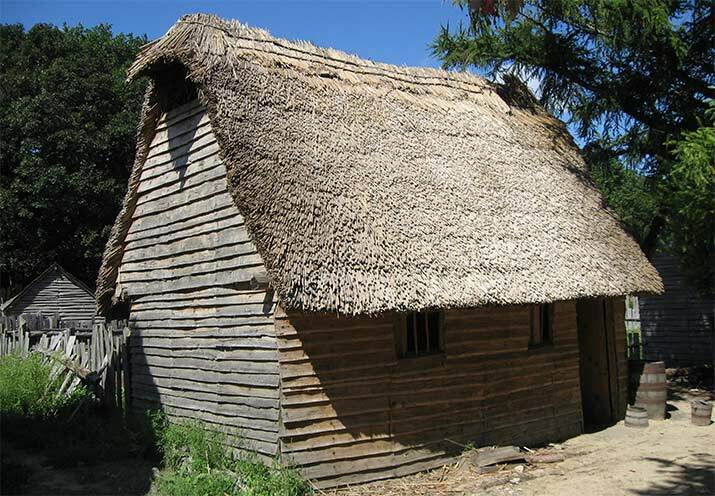 Howland House, Plimoth Plantation – We stepped into a reconstruction of a thatched-roof, single room Howland house. It was furnished with wooden table and two rush-bottom wooden chairs, low cabinet on the left with pewter plates, on the right, a fireplace, Dutch oven on a tripod ready for cooking. At the other end of the room, dried herbs hung in the window over a bed. Jabez Howland House (333 Sandwich St.) – John Howland’s son Jabez bought a two story house (built around 1667) in Plymouth town. John and Elizabeth Tilley stayed here during the winters, and Howland died in the house in 1672/3. The house is furnished with 17th century furniture and artifacts, including china, kitchen utensils, writing desk, chests, trunks and wooden baby cradles. John Howland outlived all the men who came over on the Mayflower. More children’s books to read about sailing on the Mayflower, daily life in the new world, and first Thanksgiving.